Sometimes our support team may need some additional information to diagnose issues that a user may be experiencing using a particular browser. If an error exists, there will usually be one or more lines in red text. You'll want to take a screenshot of that error and send it to support so we can better diagnose the issue. If you don't see any errors try reloading the page. 2. 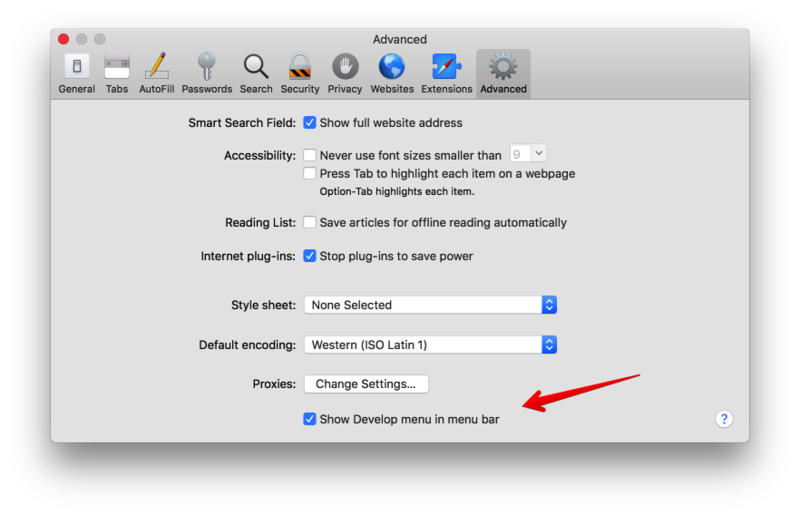 Next go to the screen where you're experiencing the error, then navigate to Develop › Show Error Console. 3. If an error exists, there will usually be one or more lines in red text. You'll want to take a screenshot of that error and send it to support so we can better diagnose the issue. If you don't see any errors, try reloading the page. 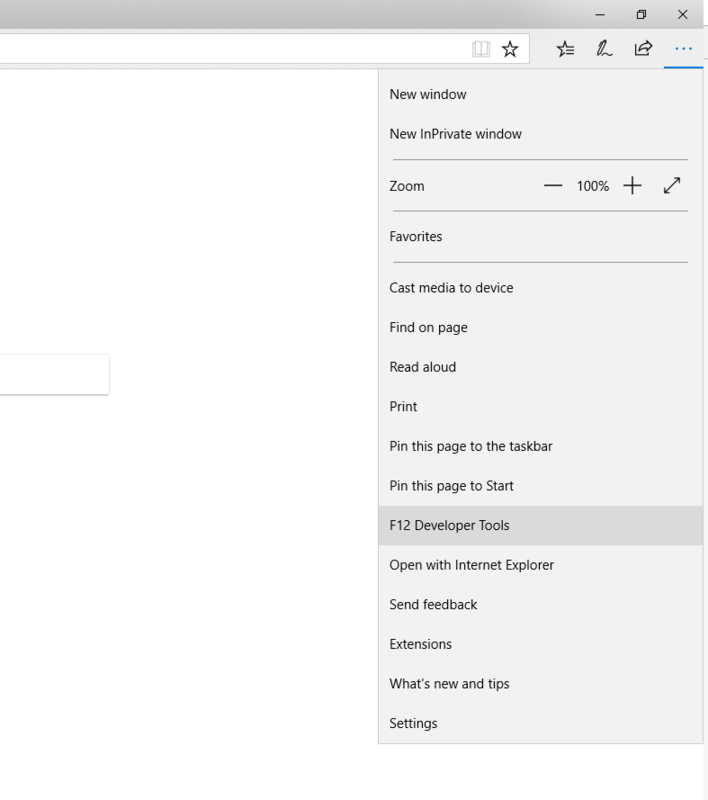 In Microsoft Edge, start by going to the screen where you're experiencing the error, then navigate to the upper right hand corner where you'll find three dots ••• › F12 Developer Tools. 2. 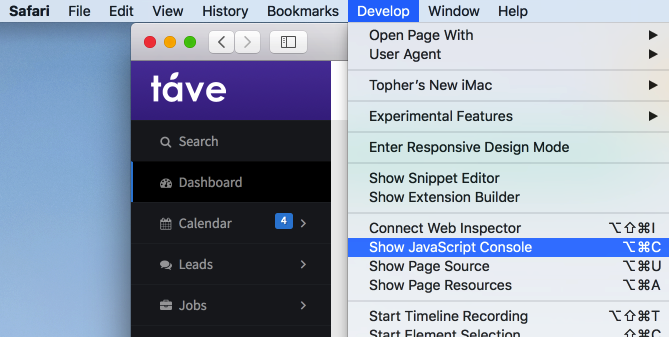 A row of tabs will appear at the top of the developer tools. Navigate to the 'Console' tab. If an error exists, there will usually be one or more lines in red text. You'll want to take a screenshot of that error and send it to support so we can better diagnose the issue. If you don't see any errors, try reloading the page.